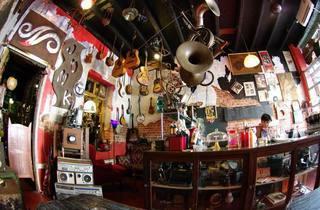 Easily one of the most fascinating coffeehouses in George Town, Junk Café is worth prying around. A good snoop will unearth quaint items once belonging to someone's grandparents, from cross-eyed old dolls to racks of clothing carrying the whiff of mothballs. 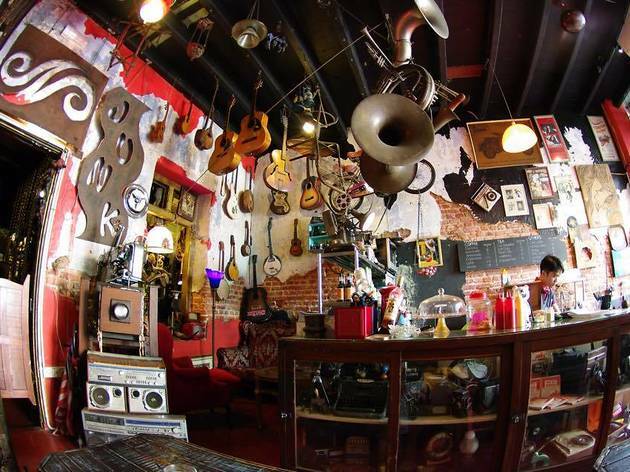 If you’re wondering how on earth the proprietors of this wacky café acquired a landfill’s worth of junk to fill their coffeehouse, it’s because they didn’t – the junk preceded the café. Junk Café was initially the depository of a vintage collector who traveled wide and far in his quest for preloved treasures. In January 2015, half of the storehouse was cleared out to make room for a café. The receptive team behind the counter made our visit all the more pleasant. Equipped with little but an espresso machine and an outdoor grill, they were still able to magic up delicious drinks and towering burgers. Take note that their celebrated crab roll is only available on weekends.